The dating scene isn’t just for teens, collegians, and young professionals. 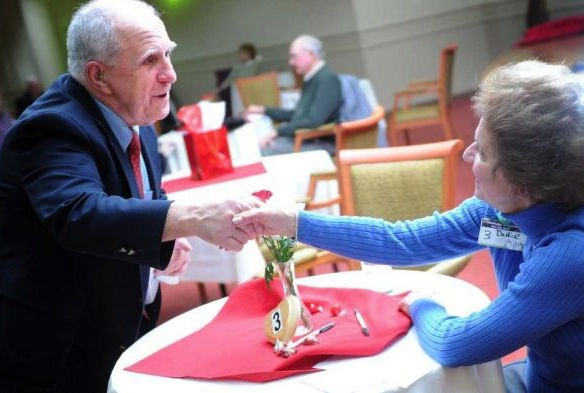 Plenty of single seniors are getting a second chance at love, proving that retirement is about more than playing golf, catching up on reading and traveling?it?s about finding friendship and companionship, and may even fan the heart?s desire to find a soul mate. Yes, it?s true. The longing for a lifelong partner doesn’t end in retirement. The US Department of Health and Human Services reported that 29% of older adults (11.3 million people aged 65+) now live alone and nearly 50% of older female adults live alone. These numbers are expected to increase through 2020. But here is a problem of epic proportions, 1 in every 2 older adults spend zero hours with other people on a typical day. For seniors who live alone and outside of a long-term care facility or community, potential for socialization that can lead one on a pathway to love involve activities outside the home and include: classes at a community center (such as senior aerobics or aquatics); library book discussion groups; organized church meetings or choir practices; and volunteerism. In master-planned retirement communities, such as Sagewood in Phoenix, Ariz., the grand scope of accessible activities for seniors opens multiple doors to finding love. Sagewood, said to offer seniors flexible, genuine lifestyles tailored to their interests, provides yoga, life-long learning classes, off-site outings (such as dinner and a movie or a night at the opera), dance instruction, and even Wii tournaments and wood carving. Sociable singles are presented with plenty of opportunities to interact with their peers, meeting companions within the safeguarded circle of their place of living. One thing?s certain: being loved feels great at every age. Encourage your loved one to get out and mingle, and maybe their relationship status will erase the word single.